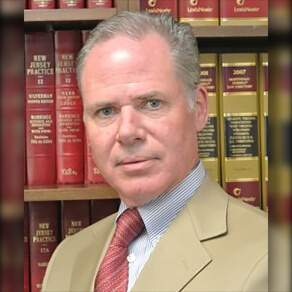 Michael J. Keating - Dughi, Hewit & Domalewski, P.C. Michael J. Keating represents physicians, dentists and other health care providers in malpractice, disciplinary, licensing, hospital privileges and third party payer, including Medicare and Medicaid, disputes. He also represents physicians in issues relating to the sale of medical practices, and in employment issues. He regularly tries cases in the federal and state courts and represents health care professionals in administrative and quasi judicial hearings before the Board of Medical Examiners, hospital hearing committees and administrative judges. Mr. Keating has lectured frequently on subjects concerning his practice areas for the New Jersey Institute of Continuing Legal Education. He is a former Barrister with the Union County Inns of Court, teaching trial techniques to young attorneys. He has been on the faculty of the Institute for Continuing Legal Education, which is the State Supreme Court-approved program which offers continuing legal education credits to practicing attorneys in New Jersey. He is responsible for the development and presentation of seminars and lecture programs in focused areas of complex civil litigation and trial techniques, including seminars on current topics and developments in medical malpractice law. Mr. Keating has been guest lecturer at UMDNJ Robert Wood Johnson Medical School in New Brunswick. He presents lectures to medical residents, house staff, and attending physicians at Saint Peter’s University Hospital, during Grand Rounds. Topics include developments relating to current medical malpractice environment, managed care and practice development, professional liability insurance coverage and risk management issues, matters pertaining to hospital privileges, and matters involving the New Jersey Board of Medical Examiners. Mr. Keating was also a guest lecturer for Court TV as well as a commentator with participation in panel and one-on-one discussions pertaining to medical malpractice issues. Mr. Keating served a judicial clerkship with the Honorable Wilfred P. Diana, Assignment Judge of the Superior Court of New Jersey, Somerset County, before joining the firm.